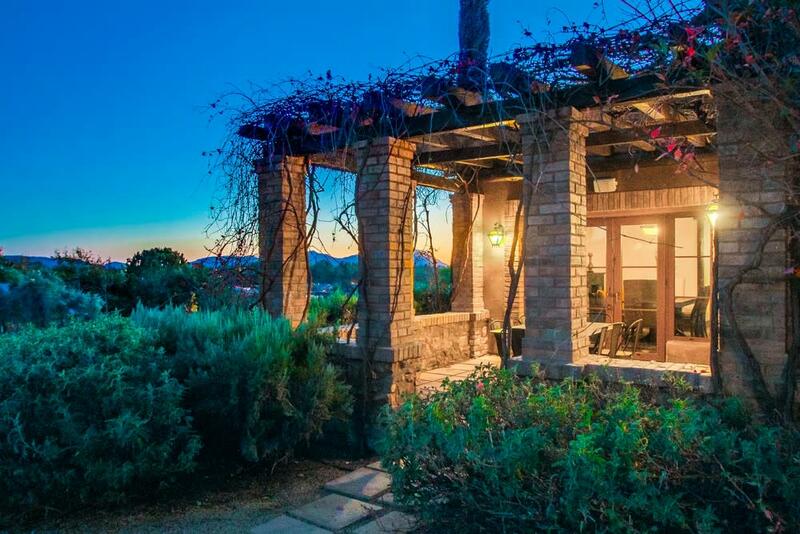 At Villa di Gioia you'll feel like you're in the middle of Tuscany in this authentic, luxurious Tuscan style villa built to replicate an Italian farmhouse. 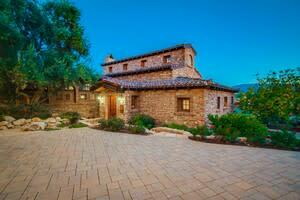 Enjoy beautiful views of the Temecula wine country surrounded by the vineyards of this 2+ acre estate. 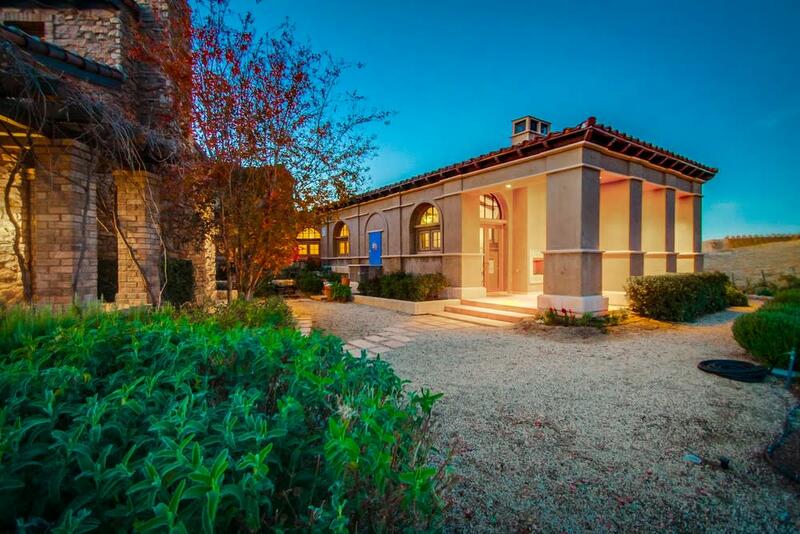 This spectacular villa is newly furnished and ready to welcome you for a wonderful stay while exploring the Temecula Wine Country and beyond. Be among the first to experience this unique, charming, comfortable and private villa with brand new beds, bedding and towels. The professional kitchen boasts a Viking cooktop and oven, Bosch dishwasher as well as a SubZero refrigerator. The Butler's pantry is fully stocked with another SubZero fridge, a second dishwasher, microwave, toaster oven, blender, Keurig coffeemaker and electric kettle. Enjoy meals in the lovely dining room which seats 8-10 or the cozy breakfast nook. The Great room offers a large TV, fireplace and is a pleasant place to read and relax. In the spacious Master bedroom enjoy the CalKing size bed, large TV, fireplace, his and hers ensuite with walk- in shower and jacuzzi tub as well as a covered patio overlooking the vineyard. Bedrooms #2 and #3 have queen beds and ensuite bathrooms. The loft has an additional TV and queen sized sofa sleeper. The study also has a full sized sleeper. 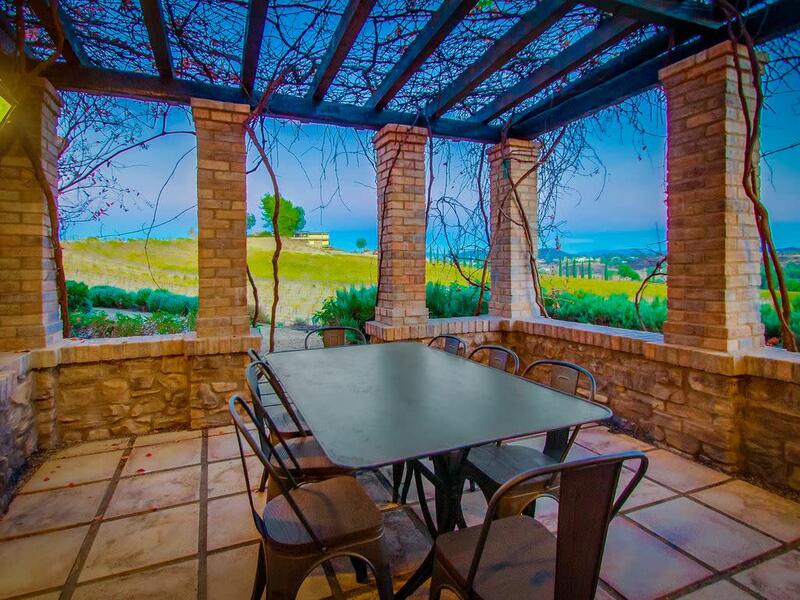 The patio off the dining room sports a large table to enjoy al fresco dining and more incredible views. The grounds are incredible featuring gardens and a courtyard fountain, olive, citrus and fig trees. The closest neighbor, just steps away, happens to be one of the valley's best wineries, walk over for a taste of some incredible wines! Villa di Gioia is truly STUNNING!! !